I know I’ve been a little quiet lately… sorry about that! I’ve been head down on a couple projects and it has been a crazy few weeks! I’m going to take a little detour today from my normal format of emails to share a few things with you (and I’d love to hear your thoughts on this format. I’m thinking this might be something I do once a week in this format, then go back to my regular email style? Just hit reply and let me know what you think). 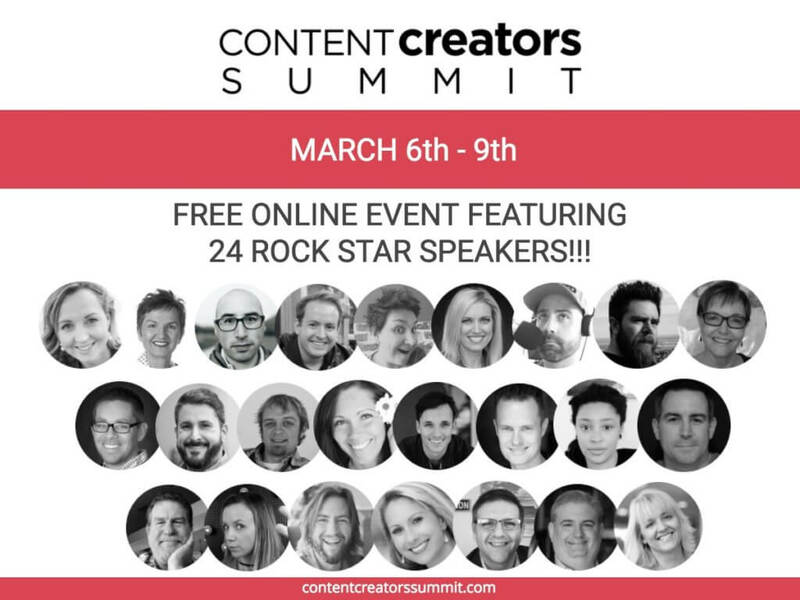 The Content Creators Summit is HERE! This has been a major labor of love for me (and a boatload of work, but SO worth it!). 24 speakers, all talking about content! We cover written, audio, and video… in pretty much every format. I have Live Stream experts, SEO experts, long-form written content, quick content, podcasting experts (a few of my favorite WordPress friends… Troy Dean, Lee Jackson & Matt Medeiros all joined in). The content is ‘AH-MAZING!’ Every speaker over-delivered. It’s FREE to attend! The summit goes live next week and runs from Tuesday, March 6th at 10:00 AM PST through Friday, March 9th with the last session at 4:15 PM on Friday. Each session is free for 24 hours. You can get access to all the sessions (video, audio, and transcripts) if you get the All-Access Pass (total bargain!). Need help building your WordPress Site? My good friend Dave Foy has opened the doors again to his ‘No Stress WordPress’ course! This is truly a step-by-step program for non-coder designers, who want to build full WordPress sites faster and more profitably! It also closes tomorrow (sorry for the late notice! )… SO… jump in now! You guys probably think I’m not too shy when it comes to sharing online. I think I’ve found a good balance between personal and private (I promise not to over-share… making people uncomfortable is never a good thing). It’s always fun to have the tables turned on me where I get to be the guest. Well, less than a month later it’s up and running! SO… that’s what I’ve been up to! I’ll be getting back on a more regular publishing schedule after the summit (and thank you for your patience).